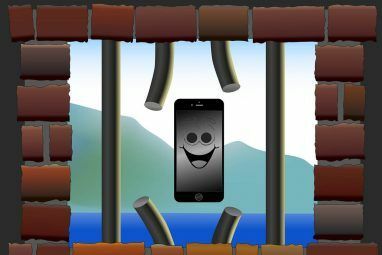 “Jailbreaking” has become the de facto term for overcoming the developer lock on a mobile phone in order to install homebrew or non-marketplace applications (also known as “rooting” on Android devices). First used to describe the process of unlocking an iPhone, the term now applies to the process on pretty much any locked device, whether mobile phone or tablet. Windows Phones come locked by default, with users only able to install apps from the Windows Phone Marketplace on a region-specific basis. This can result in some disparity between users based in different territories and also prevents amateur developers from testing their apps on the platform. Fortunately, two unlock methods are currently available across all Windows Phone devices. The first option is to register your Windows Phone as a developer device, enabling access to a wealth of development options – for a fee. If you don’t have resources for this, however, a much cheaper but limited choice also exists. The first option is unfortunately quite expensive but registering your Windows Phone as a developer device affords the ability to unlock your handset and submit apps to the Marketplace; you will also receive access to some useful developer tools that you can download. This requires the Windows Phone SDK and your Windows Live account, but will cost $99 (£65 in the UK). To use this option, visit the App Hub at http://create.msdn.com/en-US and sign in with your Windows Live account. Visiting this site will upgrade your Windows Live account, allowing you to register as a developer, so complete the form as required. If you have a credit card linked to your Windows Phone then this will be charged. Once the payment is made, you will receive a code. Head back to the App Hub and download the SDK, which you will need for development purposes and to unlock your handset. 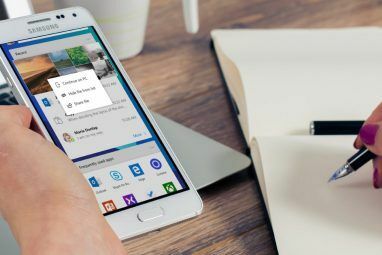 After installing this – which will require an Internet connection – you will then be able to connect your handset, launch Start > All Programs > Windows Phone Developer Registration and enter the unlock code you received earlier. Note that this is limited to three phone unlocks per developer account. Eligible students can unlock their Windows Phones for free, by completing the registration form with the correct information (name of college, code, etc.). The $99 fee has been controversial, which is why Microsoft acquiesced and allowed the creation of a limited unlock tool by the ChevronWP7 team of homebrew developers. Ideal for designing and running apps by amateur developers, the ChevronWP7 service costs just $9 and is available via https://labs.chevronwp7.com/. Using a purchased code, you can use this service to “officially” unlock the device, thereby enabling the installation of homebrew apps and games. 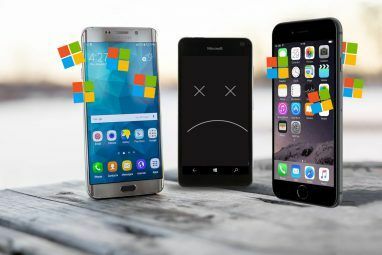 As Microsoft endorses this method, which is limited to installing 10 apps, the ability to fully unlock a device isn’t available but it is the only affordable option that works on all Windows Phone handsets. To unlock your phone using the ChevronWP7 method, first visit the site via the link above, sign in with your Windows Live account and download the Windows Phone SDK which you will need in order to sideload apps to your device. This is installed via a small 3 MB tool, vm_web2.exe, which will download the correct version of the SDK for your operating system. Note that the SDK is only compatible with Windows Vista and later. Next, you will be taken to a screen where you can download the correct unlock tool for your operating system (in 32-bit or 64-bit versions). The Microsoft .NET Framework 4 update for Windows 7 is also required to install and run the unlock tool. After this, back to https://labs.chevronwp7.com/ and purchase the unlock token. When you’re ready, connect your Windows Phone via USB and run ChevronLabs.Unlock.exe downloaded previously. The software will check your phone and prompt you to enter the token, which will then be used to unlock your phone. Note that this step requires online authentication and might take a few minutes. With your phone unlocked, you will be able to start installing apps that you have acquired from the web rather than via the Windows Phone Marketplace. One of the best resources for this is the XDA Developers website, at http://forum.xda-developers.com/forumdisplay.php?f=606, although note that you will have to register to download files hosted on that site. After finding an interesting app (for instance a screengrab tool) you will need to download it to your computer. Once this has completed, you will be ready to sideload. With your phone connected via USB, open Start > All Programs > Windows Phone SDK 7.1 > Application Deployment and select Windows Phone Device as your target. In the XAP field, Browse for the file you downloaded and then click the Deploy button. A few moments later the sideloaded app will be available to launch in the Apps list! Although not as complete an unlock as you might find on Android or iOS, the ChevronWP7 method is the most effective and accessible for the majority of users. If you’re serious about developing for this platform, the paid option is obviously going to be appropriate, but using ChevronWP7 will set you in good stead and provide you with all you need to decide whether or not you’re ready for developing on Windows Phone. Note that there is a third option, interop unlock, which applies a deeper level of unlocking; however at this stage it is not available for all Windows Phone device types. Explore more about: Jailbreaking, Windows Mobile, Windows Phone, Windows Phone 7. The dev unlock via Microsoft developer account does not unlock the phone in the sense of sim unlocking! It only allows you to upload apps. I have a dev account and while I can test and use my apps on the phone my phone is still simlocked to T-Mobile UK. Is the Windows Phone Emulator free? Yes it is. It comes with Windows Phone SDK. If I use the Chevron tool can I bypass my carrier and get OS updates directly from Microsoft? If not, how can I do that? An interesting question, Dennis, and worthy of a future article I think. The short answer is no, it won't bypass your carrier, and you cannot get updates from MS with it. However there are ways in which to force updates using Zune and disconnecting/reconnecting your Internet. Sadly no, SIM unlocking is a separate process entirely. There are various services on the web that will do this for you, or you might contact your carrier/network and tell them you're going abroad, although this will still be chargable and some delay might be likely. Oh, if you have an active .edu address, you can get the developer tools (and unlock your device) for free. It's what I did, and am pleased with the results. You don't need to register to download files from xda. They started allowing everyone to download their files a couple of months ago. "the paid option is obviously going to be appropriate," - forgive me, but aren't BOTH options *paid*? It's funny how people latch onto the iPhone for being so locked down - yet jailbreaking has never been easier (and free). 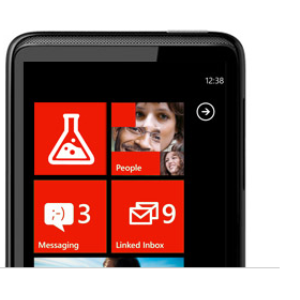 WP7 simply can't be unlocked for free, right? At least there's an official method, though. Microsoft isn't going to try to disable these methods in the next update. Probably need to check the Chevron site again - they're sold out of tokens right now. They have been for a while and no news if they'll be able to get more or not.